The DJ & MC combination has become one of the most sought out entertainment services in the event industry. With instant access to a vast music library DJs offer unparalled versatility at every event. Combined with an event host (MC) that will seemlessly guide you and other vendors (Photographers, Cinematographers, Caterer & etc) through the important formalities of your event, as well as motivating your crowd to reach the highest possible energy level! A perfect synergy is created when a musician is added to our DJ & MC service. 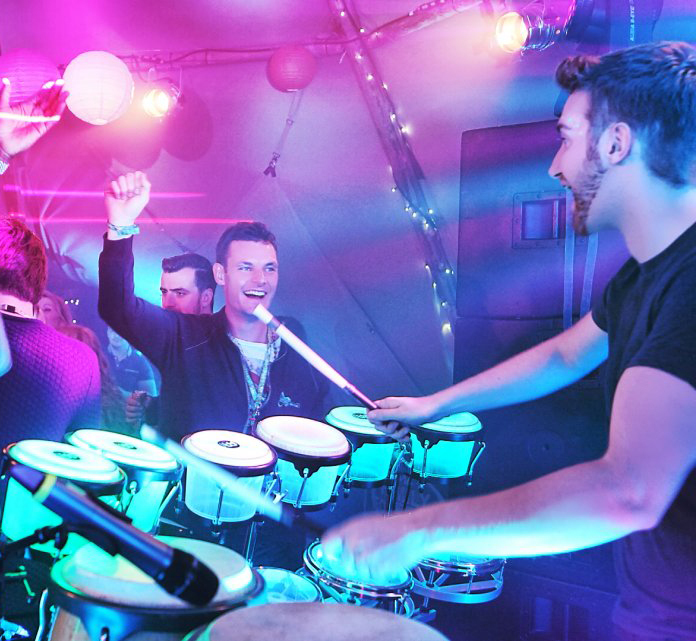 Musicians (such as percussionist, saxophonist and etc) add the warm and vibrant tone of live instruments to our DJ's high-energy sound. A perfect combination for those who would like the elegance of live music and versatility of live DJs. From a single violinist to a full band, Touch of Sound is able to match you with the perfect live musicians. We work with a range of bands that cover the full gamut of music. From domestic bands (Jazz, country & Pop) to cultural bands (Latin, Tazza, Greek & Etc.) we have what it takes to cover your every need. Keyboard/Pianist, Violin, Viola, Cello, Harp, Flute, Clarinet, Saxophone, Percussion, Acoustic or Electric Guitar, Upright Bass, Vocalist, Bagpipe, Tazza and Steel Drum. These club & concert grade lights include various patterns, colors, and prism effects. They can vary in speed, intensity and can synchronize with the music. A trained technician controls the lights on-site based on the mood and setting at the moment creating a night club or lounge like enviroment. In addition, they are a great way to spotlight event formalities! There is nothing else we can offer our clients that can transform their space and make it look more stunning than this form of lighting. Our LEDs are 100% Wireless & the color choices are endless. 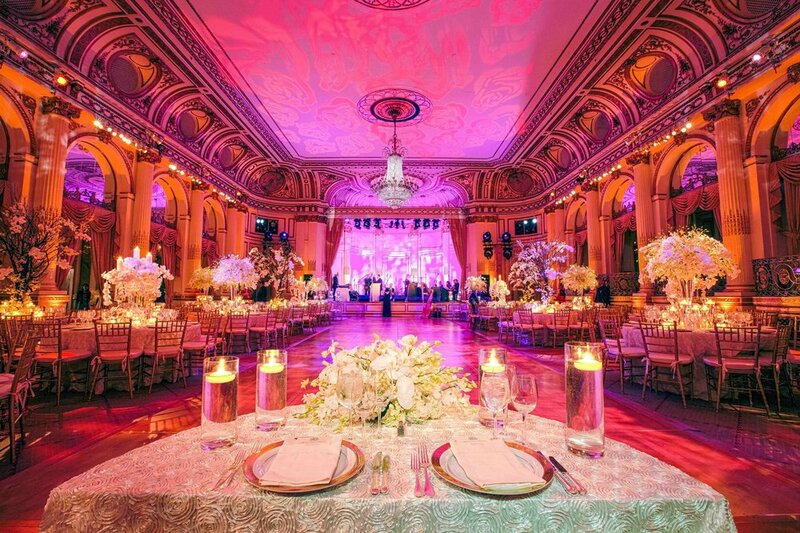 This type of light can create that personalized touch at your event that your guests will love. It can be a wedding couple’s personalized monogram, a company’s corporate logo, or a sweet 16 girls name projected on the dance-floor/ceiling/wall. This is an advanced light design that shines tiny light beams of light in order to perfectly illuminate the center of every arrangement. A pinspot is used in lighting centerpieces, cake tables, buffets, floral arrangements, or anything that is significant. A collection of awesome add-on’s. From low-lying fog for a first dance, snow, bubble or fog machines, CO2 blasts, confetti and fireworks. Please reference the special effects page for a list of all our special effects services. ToS Photo Booths offers modern & sleek photo booths for all social & corporate events. Our booths offer professional DSLR cameras & studio lighting for the best quality images and prints. GIF, Boomerang, Social Media, Video & Instant live streaming capabilities grant our clients a wide range of options to choose from. Unlimited 4" x 6" or 2" x 6" (photo strip) prints available onsite instantly. Our professional and friendly booth attendant will assist your guest throughout the event as they pose with a variety of fun photo props. With our custom logo or event branding these photos make for excellent keepsakes for all events. contact us today for more info.